Contouring is all the range! Everyone is doing it, I have tried but honestly I am not all that great. It's probably one of the biggest beauty trends right now so finding the right contour kit is essential if you're planning to jump on the bandwagon. There are so many contouring beauty products around that it's hard to choose out of them. 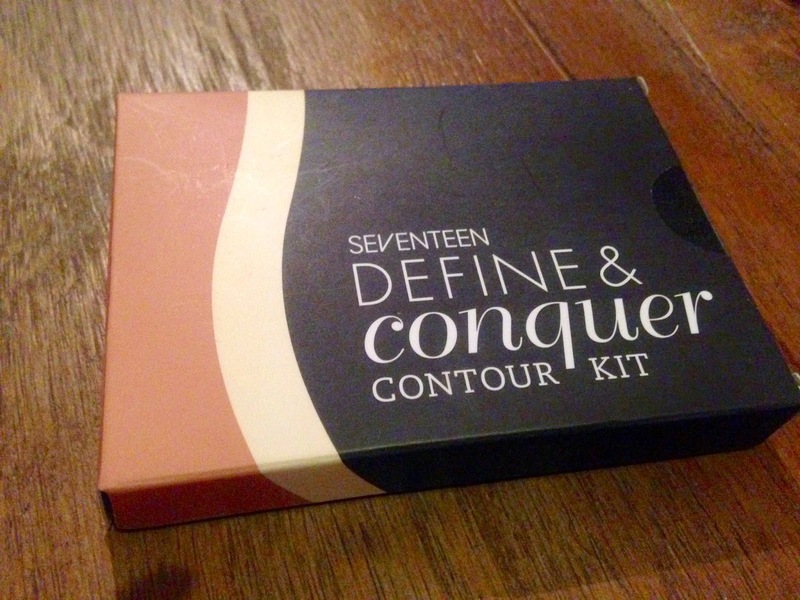 However, I recently picked up the Seventeen Define & Conquer Contour Kit from Boots for £5.99. Not only is it affordable in price, it is also very good quality. You can choose which colour suits you the best, I purchased medium as I have a more olive complexion. To check the shade have a look at the barcode on the back, it's in the smallest letters which is not very good. I was searching for ages to find the shade. Both shades of matte powder are extremely soft on your skin, they are easy to blend and work wonderfully together. 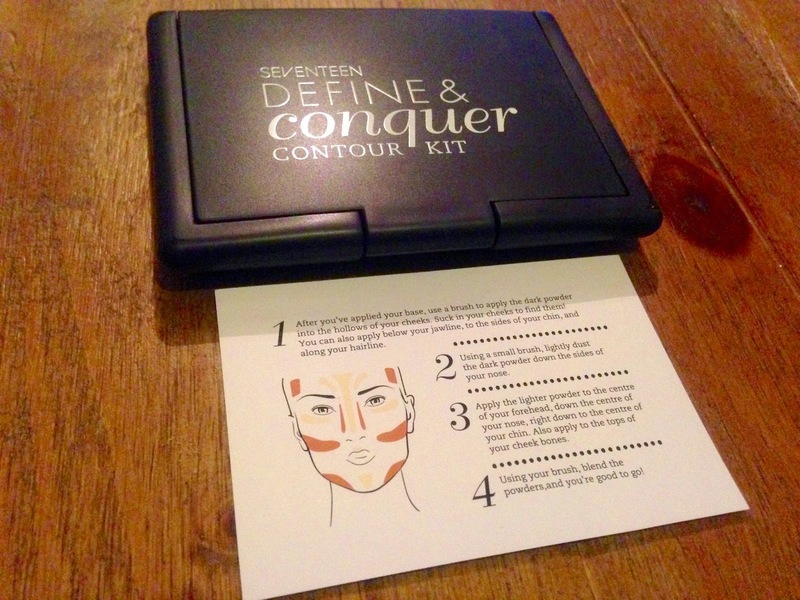 If you have never contoured before, the step by step guide provided is a beautiful touch. It really offers simple instructions on how to create the perfect look. 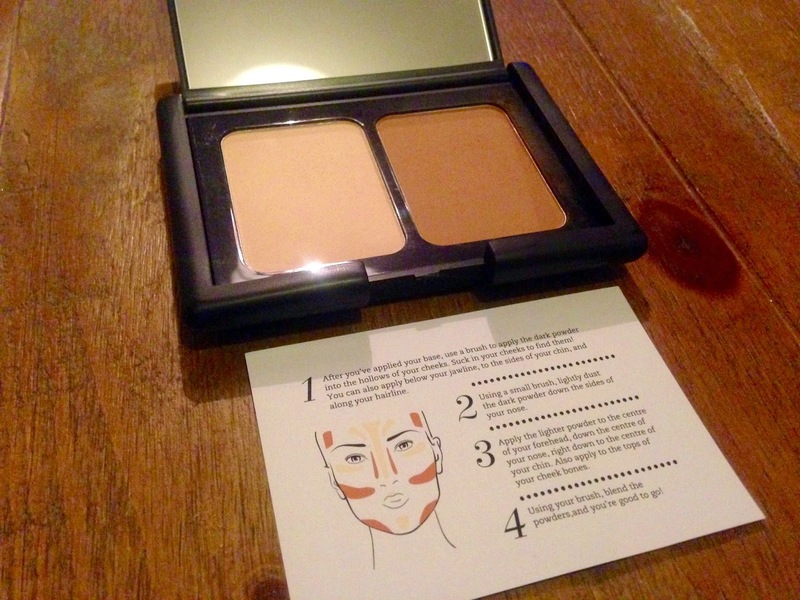 It's the ultimate mini guide to contouring. One thing I would say is be care how much you use on your contouring brush. I would work it on gradually to create the look otherwise it appears a lot darker. I am olive skinned and find that I only need a small amount to get the look I want. I think it works well for all types of skin tones and I guess you just need to find what works best for you. It is definitely a product I would recommend, affordable, good quality and easy to use. If you would like to see a video of me using this product check out my Makeup Tutorial here.